Can We Really Start Ballet as an Adult ? Here is a well-known fact : traditionally Ballet is a dance that you start learning at a really young age (4-5-6 years old) and keep practicing for years if You want get good results and be able to become a proper ballerina one day. I personally started at the early age of 4 years old – and then never stopped practicing. People typically believe Ballet is a very strict and very difficult discipline where you have to commit and put your entire self and relentless efforts if you really want achieve some good progress. But actually this would only be true if every single person practicing Ballet was hoping to become a professional dancer one day and trained him/her self in that goal. So if That is The case Of course, you should start – or put your daughter / son, In Ballet Class very early – and keep an eye on it for years. But why not to start Baller for leisure, as an adult ? Being an adult doesn’t mean giving up on that childhood dream, a dream shared by many, that Ballet is accessible. After all that’s true – people now take more and more time to take care of them selves- they commit – they like Ballet Music’s – They are willed to dance and learn : Adults make really good students. ( see related : Teaching to Adults) So there is nothing to stop you learning Ballet as an adult apart from your attitude. How To Practice Ballet as an Adult ? Clothes – what to Wear ? We are Lucky to Have a newly open Repetto Shop in Shanghai, there you will be able to find all the wonderful items of the Most Prestigious French- Parisian Dance Brand and discover the treasure they have in their wardrobe ! You don’t want put on a traditional tutu but You will have to wear a Good Leotard and exercise tights, leg warmers and a crossover cardigan. These items are usually good quality make- so they are a bit pricey but they will last. As I live In China-Shanghai- I also know some very cheap shops for those- but I personally recommend to make an investment and go for quality. Wear a Nice Cardigan – we call in French « Cache-coeur » – literally « hide-heart » to warm you up and make you feel at ease when working on your movements. If there is ONE specific and essential item ; it is Shoes. 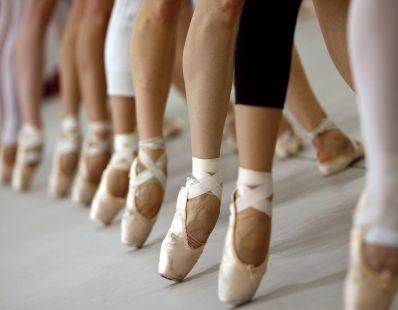 Ballet is All about the shoes- so be sure to select the right ones. 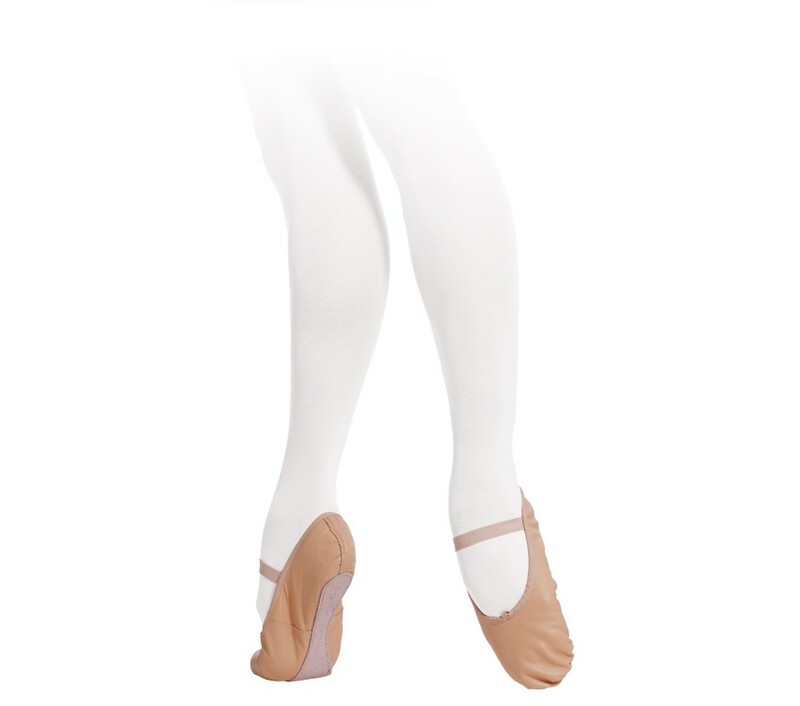 First of all : you will not purchase the Pointes Shoes- those are reserved for professional. You will purchase the « slippers » version- called demi-pointes in French. So for those, you have several options and several material they can be made of : canvas, leather or both. As a professional Dancer- with former ballet strict education – i would recommend leather shoes with full sole. They are a better way to shape your feet and make you get a stronger and nicer « cou-de-pied » (instep). One thing you want to avoid is to hurt your self, get injured or less seriously just avoid having some toe cramps. For all these risks : one and unique solution : Keep your body warm ! You may not always have enough time or enough awareness of your muscles and joint functions to feel wether you are totally warmed up – I always use and recommend to wear special warm-up clothes and suggest you to purchase one of those. The most important part of your body you want to keep warm are your legs – and all your joints from hips to ankles. So Go Buy those gorgeous leg warmers – (see pictures below) and I insist for you to choose the long ones that really cover you whole leg – not only your lower leg and ankle. With those : no more cramps ! They are magic makers and will prevent all kind of cold-muscles-injuries. How Is it going to Be ? What kind of exercises will you do ? Ballet classes usually begin with a warm-up at the barre and some stretching- can also add some floor barre (barre au sol) exercises. As the lessons proceed, you will get to learn a range of different steps, jumps, slides, dance moves. Several exercises to make you feel the Ballet Movements, Get your body used to them and learn how to practice, for one day be able to do some performances (shows, choreography, etc) and achieve several steps in a row au milieu (means middle of the studio- without the support of the barre). Keep it up. At first you might find coordination hard to grasp, as well as stretching and getting sequences right. It takes a lot of time practice and efforts : so if you can practice at home do not hesitate to do so. Remember that the more you do, the better shape your body will be in and the long-term flexibility benefits of ballet are excellent. Good Posture : that might be the caricature of the Ballerina- standing stretched – shoulder down and with a beautiful posture- but it is the reality. Ballet will bring you and extremely strong back and since the basic requirement of ballet is to have a neutral stance with the spine straightened and hips “squared” (meaning, parallel on both sides), this posture is going to have a “spill-over” effect on your day-to-day posture. If you work on it – you will end up looking as graceful as Audrey Hepburn ! Brain exercice : using brain power is one of the « trick » to succeed in Ballet Learning. You will have to use a lot you brain to remember the steps and coordinate the different body parts – step combinations – music tempo and rhythm integration. Artistic Development : Ballet may be (at least for me) the most beautiful visual art you can find. Often are those who had picked up Ballet as a way to keep fit and ended up being in love with the art. The more you learn Ballet the more you get interested into wonderful traditions, and stories behind it. Performance. Ballet is an art of performances. Although as an adult you will not end up dancing Swan lake at Paris Opera, you still have a good chance to show your art and enjoy the recognition and applause of an audience. That is worth gold ! 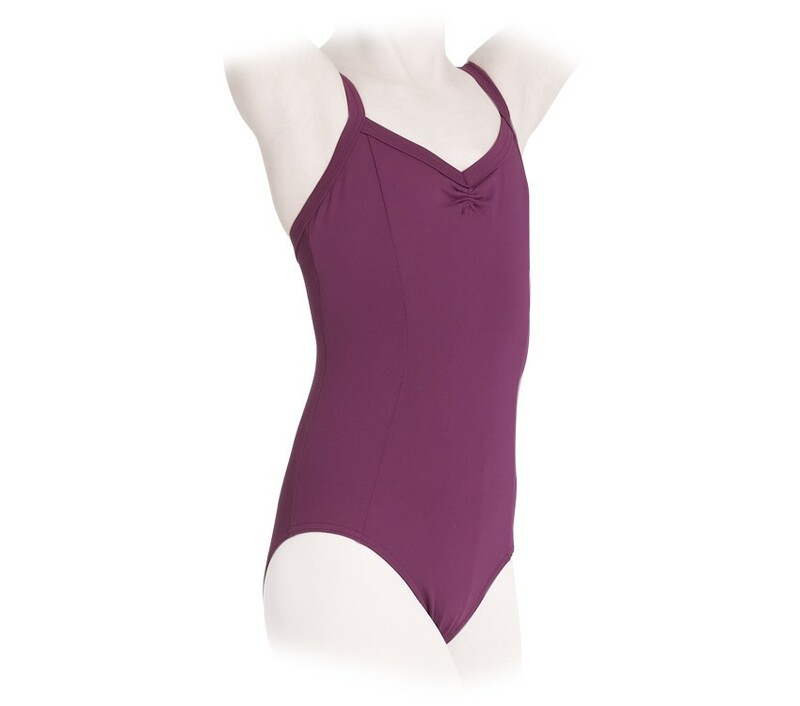 You Now Have all the Keys to Succeed – You just Have to go take Your first Ballet Lesson !